When I first read this quote from the great philosopher, it took me some time to realize its true meaning. But soon after, I understood what he meant and it opened my mind to the reality of knowledge and learning. Learning is a never-ending pursuit of knowledge and wisdom, a continuous process. We can really never say that we already learned everything. If we believe that we know everything already, we may have failed to realize the true essence of knowledge. The depth of wisdom is endless. 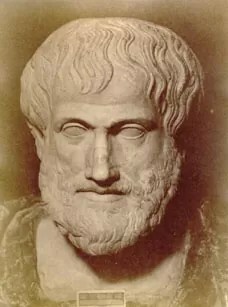 Thus, Aristotle pointed out that as soon as we started to know more, we will realize how much more we still need to know. And in realizing this, we will understand that the knowledge we have is small compared to the many more things we can still learn. Before, I thought that learning all the major and minor chords of the piano is enough to say that I have already mastered the instrument. But then, after more years of study, I found out that there are still several scales to master aside from the basics and that there are still inversions and intervals to include in my playing. I realized that there are still so many things for me to learn. This is what Aristotle meant. Follow New York resident Lou Habash on Twitter for regular discussions on philosophy and life. This entry was posted in Uncategorized and tagged Aristotle, knowledge, learning, Philosophy, wisdom. Bookmark the permalink.